Coleman Cooler Hinges and Lid StrapHunting Fishing Inc.
Coleman Cooler Hinges and Lid Strap. Replaces hinges on coolers using a lid strap. 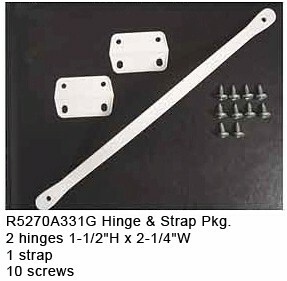 Check the hinge size on the image to be sure you have the right part. Price includes USPS freight in the US.